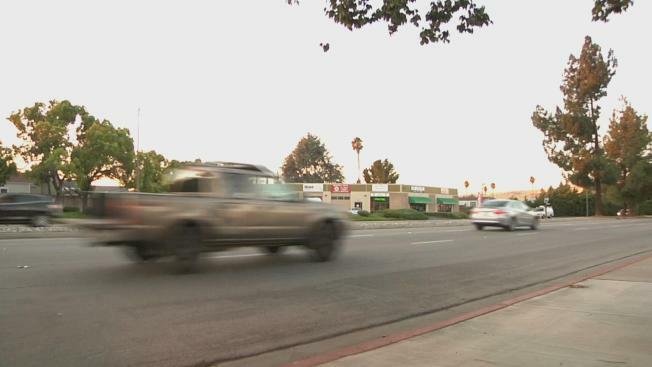 A serial shooter in South San Jose targeting occupied vehicles struck two more times last week, and police are scrambling to put a stop to it. A total of 10 vehicles have been hit on or near Blossom Hill Road, near Monterey Road, in the past three months. Six of those have occurred in the past three weeks, including the two most recent shootings last Thursday and Friday, police said. The shootings that began in May have occurred around midnight. Some neighbors are on edge and are avoiding the area after dark. "As a resident of this area, I'm scared," Kusun Rai said. "It's better to avoid the situation than run into it and try to figure out what to do. We all have family, so we all have to worry about it." Police haven't released any information about the weapon, saying only that each time the shooter fires just once. "That's a coward; he's doing something he should not be doing," neighbor Fernando Merino said. "Whoever he is, he's going to get caught." In the 10 shootings, two people have been wounded by shrapnel or flying glass, police said. Officers have canvassed the area and notified residents, though some did not know about the latest shootings. And some aren't concerned. "I'm not fearless," said Anthony Rocha. "It's just not going to happen to me." Police say they are making an all-out effort to catch the shooter or shooters but also say any help from the public would be welcome. Anyone with information about the shootings is asked to contact police Detective Bennett or Detective Perez at (408) 277-4161. Callers who wish to remain anonymous can call (408) 947-7867.